You can probably guess that this was a costly project. There are various sources of funding available for works on historic infrastructure of this type and we have completed the process of applying for this financial support. 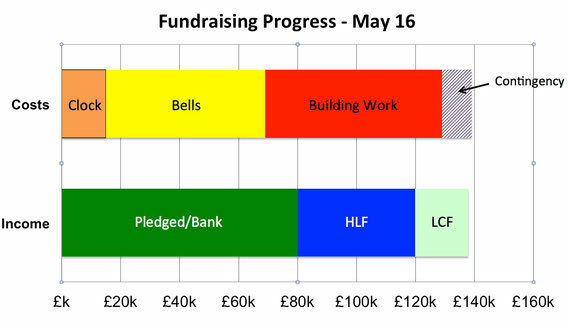 We were lucky enough to have raised nearly 60% of the required total from the community, which was a considerable help in attracting external funding. We had donations from a number of sources and we were awarded grants from the Heritage Lottery Fund and the Landfill Communities Trust. Although we have raised the majority of the funds required, there is always the danger of unforeseen expenditure arising with projects in old buildings. So we have not stopped fundraising. Any surplus will be earmarked for future maintenance of the fabric of the church. If you would like to donate to this worthy cause please see How to Donate on this website. A list of principal donors can be seen here.